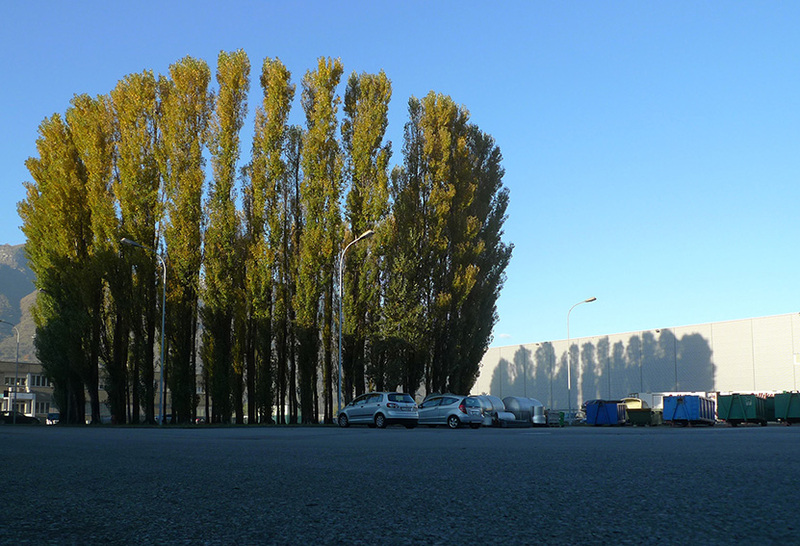 The design is located in an intermediate position between industrial buildings and rural fields on the Magadino Plain. 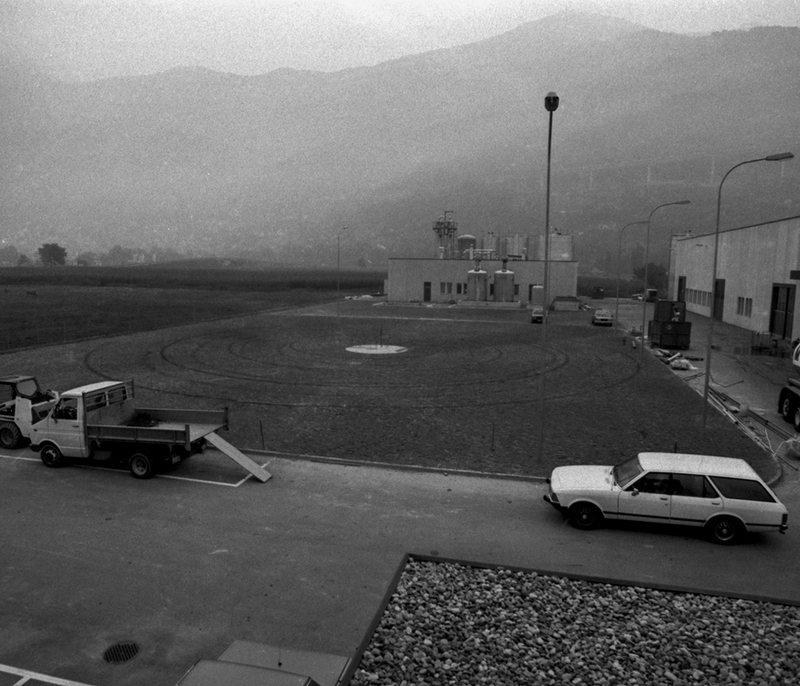 The visitors enters the green Spiral’s imaginative atmosphere just like he enters the unusual and peculiar environment of the chemical plant where it is located that produces a unique drug worldwide. 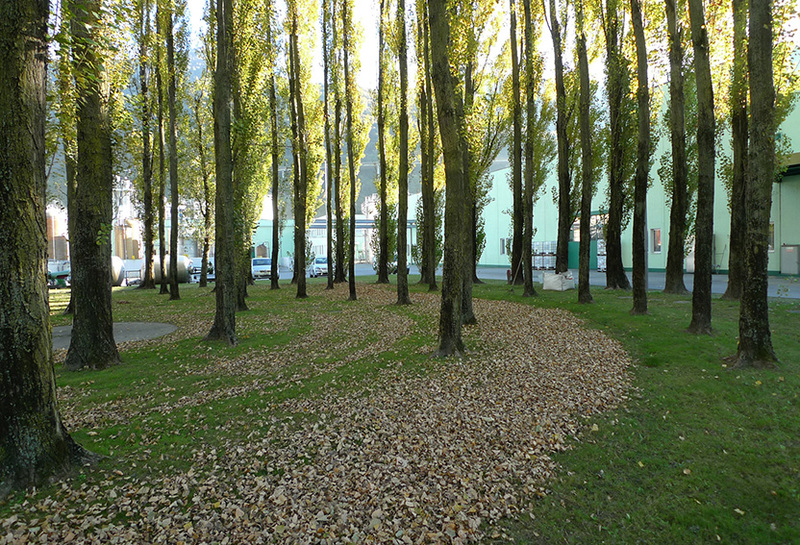 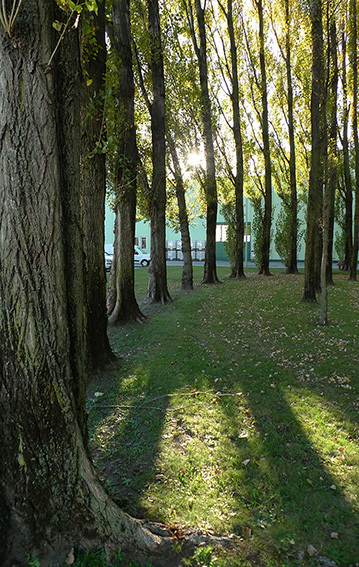 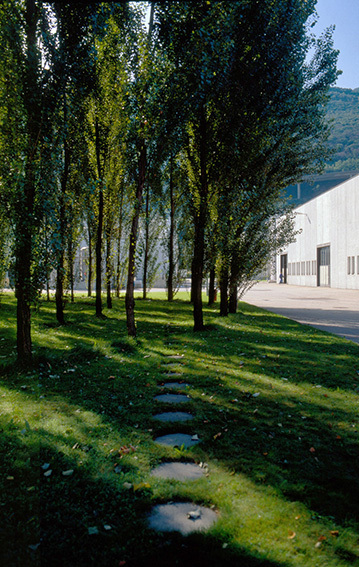 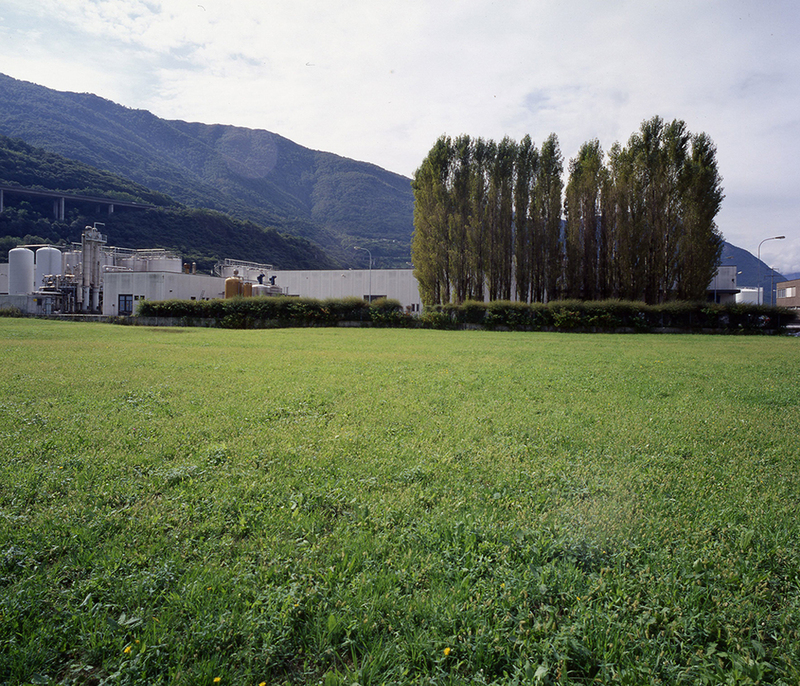 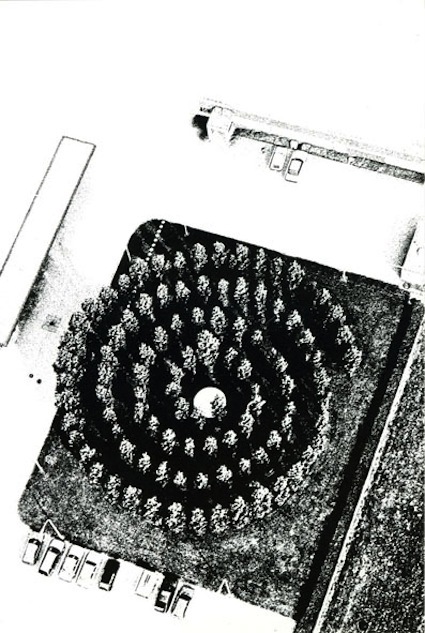 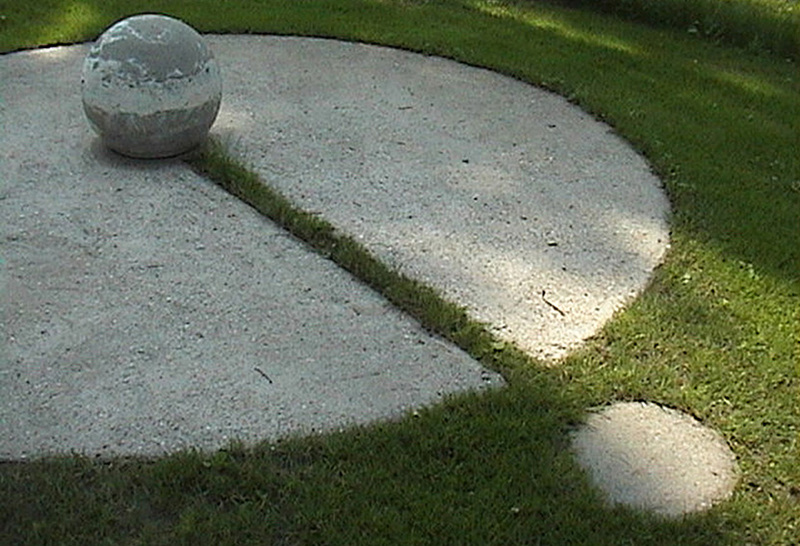 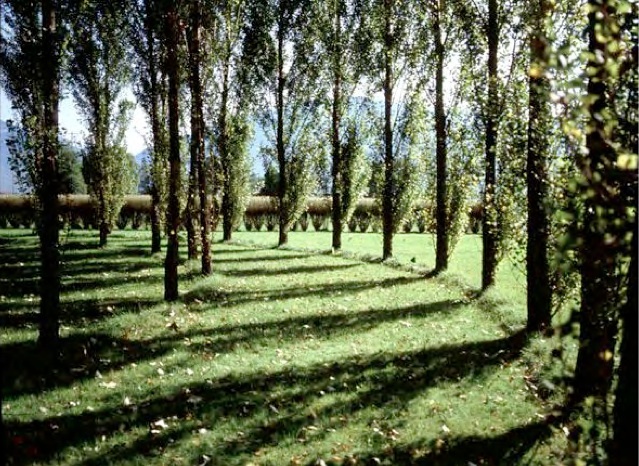 One hundred Italian poplars – Typical of industrial plains – follows in a plan line that develops into a spiral around a central core, on a meadow where even mowing highlights the design of this narrow strip, leaving a strip of taller grass between the tree trunks. 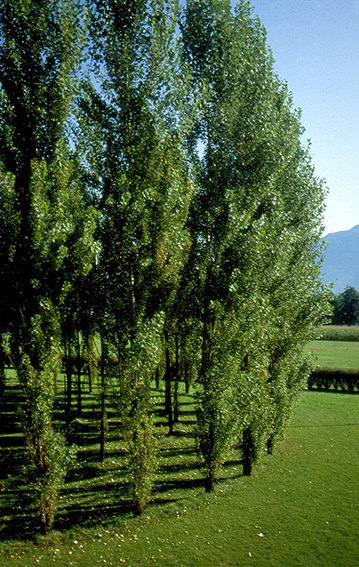 Over two decades, in a involuntary and evolutionary process typical of the spiral, the poplars have grown in a way that evokes our life, growth, and transience: some of them have become thin and frail, others are strong and towering, other still died.